A circus-performer-turned-PI uncovers dark secrets in a Hudson River town in this novel of “bloodcurdling adventure” and “genuine suspense” (Publishers Weekly). When his friend, FBI agent Michael Burana, suspiciously drowns in the small town of Cairn, New York, Mongo’s pursuit of the truth takes him up the Hudson River to the scene of the crime. Long known as a village populated by artists, intellectuals, and writers, Cairn has recently become home to ultraconservative political commentator Elysius Culhane, whose autobiography title, If You’re Not Right You’re Wrong, is less a pun than a personal manifesto. Mongo couldn’t care less about politics, but there’s something about Culhane that just isn’t right. And as Mongo and his brother, Garth, attempt to discern the real reason for Agent Burana’s death, they will uncover a conspiracy that could leave them both swimming with the fishes . . . 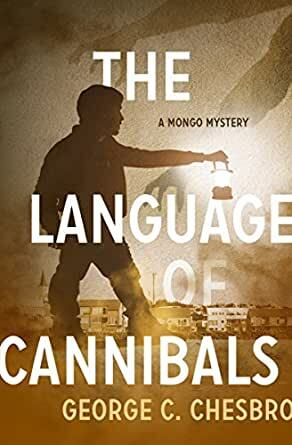 The Language of Cannibals is the 8th book in the Mongo Mysteries, but you may enjoy reading the series in any order. Wonderful. So glad you had this. I've been a big fan of the series since the beginning, and from Book #1 to this one---this is plainly the worst. Chesbro goes off on some tirade to validate his political views and spends much of the book having fun yanking the right wing's chain. Inadvertently, in his book they are right actually---the KGB really has infiltrated the country. Whether you're right or left, this mindless claptrap gets in the way of the story, and is a bizarre diversion that often makes no sense. As the series progresses, the Mongo-isms are reduced. The quirky books with a dwarf detective dabbling in the supernatural become standardized and they become routine. This is the series' nadir, though, lacking in charm, filled with irrelevant tirades. I'm working my way through the newer ones now--hope this isn't a sign of what is to come. Normally, when I pick up a "Mongo" book, I have already entered a state of quite willing disbelief. Generally, I've saved one as a special treat for myself, but Mr. Chesbro definitely needs to write faster, as I am catching up with him! This time, however, the suspension didn't need to travel quite so far. This time, the book gave me cold chills. Don't get me wrong. Mr. Chesbro is ALWAYS fascinating, and I love the characters in the Mongo series... but this particular book I just finished, and it was close enough to reality [or maybe it IS reality] that it is actually scarry! Not that I think his perceptions are wrong - it's just that I'm terribly afraid that they are correct. I've always believed in the power of words - I just had not carried that thought to such a conclusion, but I should have. Thank you, Mr. Chesbro - it was not only entertaining - it was enlightening! 5.0 out of 5 starsThought provoking sleeper..
With this book I discovered Chesbro, and I have since purchased and read most of the MONGO books. 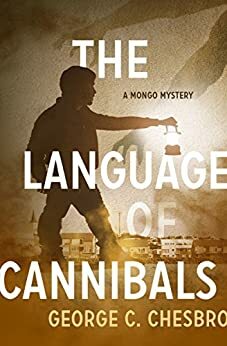 I liked "The Language of Cannibals" very much and was a little surprised to find that Chesbro was not more popular.